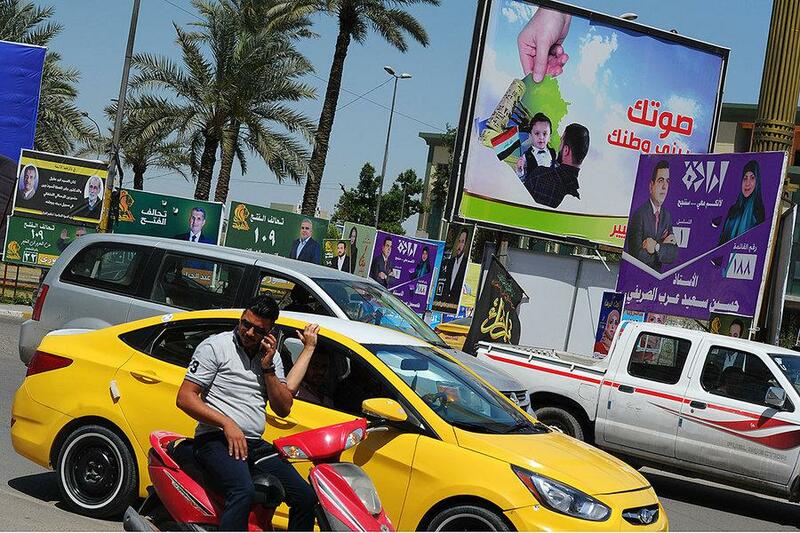 Their car stuck in sweltering Baghdad traffic, the Iraqi men spotted a foreign news photographer on the sidewalk taking pictures of a wall of campaign posters. When polls open Saturday morning, Iraqis will be choosing from some 7,000 candidates for 329 seats in parliament. It’s the first nationwide election since the declaration last year that the Islamic State (ISIS) had been defeated after a devastating three-year war. This election season, some characteristics of Iraqi politics are new, such as a shift away from divisive, overt sectarian campaign rhetoric – among Shiites, Sunnis, and Kurds alike – that has dominated public political discourse since US forces invaded Iraq to topple Saddam Hussein in 2003. Taking its place are more bread-and-butter issues, such as local services and combating corruption.